Hand held electronic moisture meters have a part to play in any credible damp investigation process. There is a business that regularly posts videos on Youtube, very alarmist video’s about how the damp industry are conning people and about how the hand held electrical moisture meter is the tool of choice that allegedly provides the evidence that properties are suffering from rising damp. One might be forgiven for thinking that the poster of such material was qualified with a construction related degree and Chartered membership on a relevant professional body, but despite describing himself as being ‘uniquely qualified’ to survey for damp, he is in fact completely unqualified at even the most basic of levels. He will use words like ‘heritage’ or ‘conservation’ or ‘breathability’ because those are the good buzz words that prove that he must know what he is doing and even claims to be an expert in old properties. As has been pointed out before being a self appointed ‘expert’ does not make one qualified; we’ll call this salesman, Mr Heritage. One of my clients recently contacted this salesman with a view to carrying out a survey on a 400 year old property. When they appointed us they asked if we knew Mr Heritage and were surprised to find out that he was completely unqualified. Mr Heritage will often refer to the damp meter as a ‘salt’ meter, presumably to let us all know that they don’t actually measure damp, which of course is true, but to claim that they only measure salt levels is absolute nonsense and dare I say it, a con, because this particular unqualified ‘whistleblower’ is also trying to gain public trust and business from false information. Essentially, we have the public being made aware of one con on the back of another con used as supporting evidence. 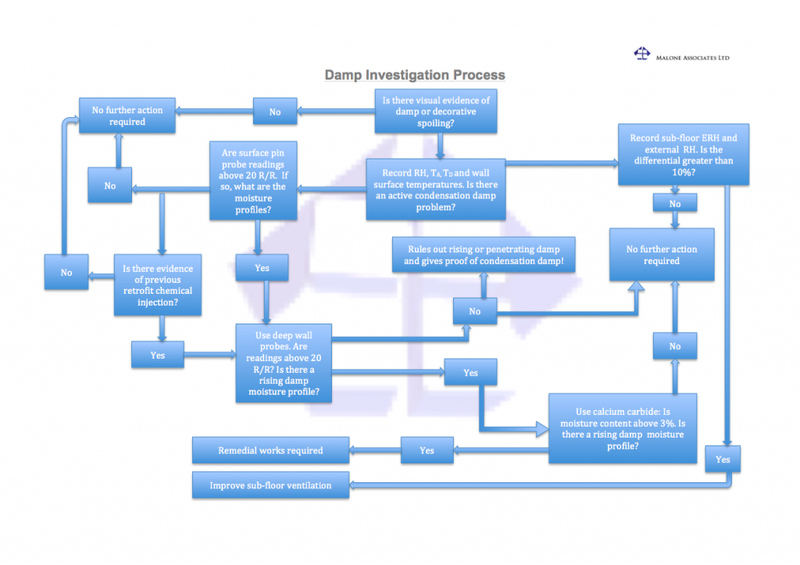 Here again is a professional damp investigation process flow charted out. Electronic moisture meters and calcium carbide both fit into the process though clearly you could not diagnose rising damp by using a moisture meter in isolation; thermohygrometers have no part to play in this investigation process related to testing for moisture at depth in masonry! Anyone who thinks that electronic moisture meters do not have a valuable part to play in the investigation process does not have an efficient investigation process and probably doesn’t understand the process. 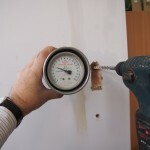 It is rather simplistic to state that electronic moisture meters were not developed for measuring moisture in masonry and whilst this is technically correct, modern professional moisture meters are sophisticated instruments specifically developed for taking relative moisture readings in buildings and a whole range of materials, including masonry. It’s all very well to sensationalise the idea that moisture meters are being used to con the public and that they are not meant for use in masonry but the fact is that they are! It is simply that they only measure relative readings and the assessment of relative readings forms a clear part of the investigation process. It is the operator at fault and not the tool! 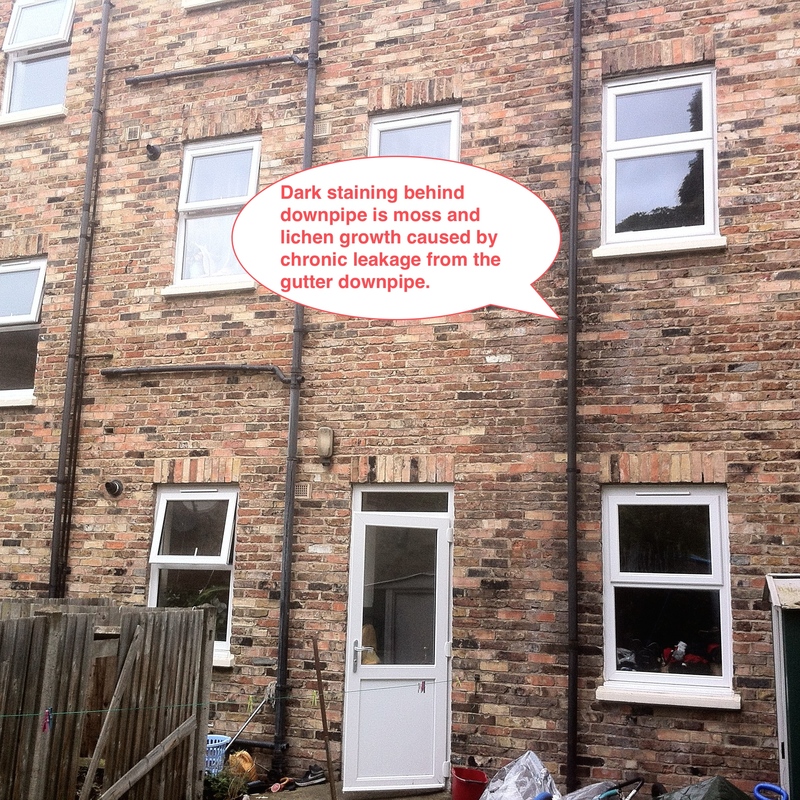 I am not a fan of the damp proofing industry and believe that the vast majority of damp proofing industry operatives are completely unqualified to be diagnosing damp of any sort. This is the great damp industry con because there is actually no qualification available to become an expert in damp diagnosis but a construction related degree should be bare minimum starting point, simply because the starting point of any damp investigation is the assessment of the building technology and build type. 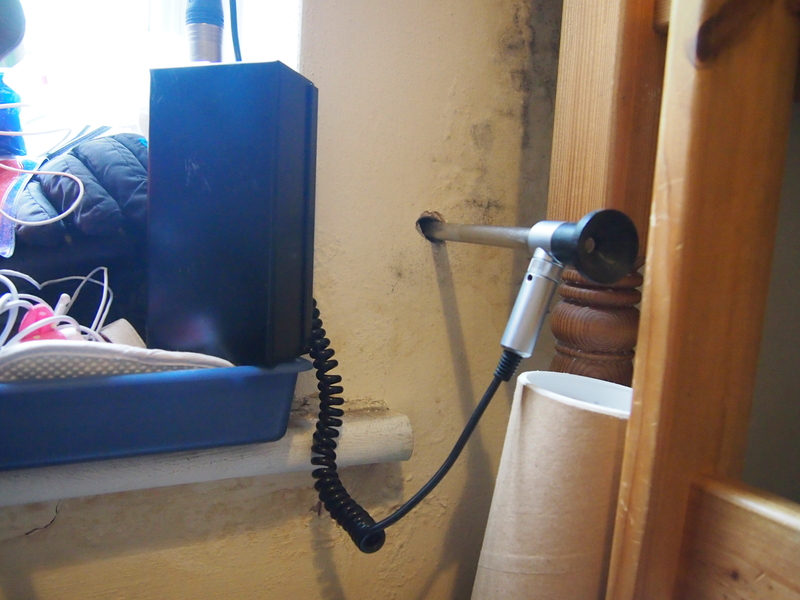 If there is an issue with regard to public education, it is not with regard to sensationalising the ‘alleged’ uselessness of damp meters because in fact, they are far from useless and form an important checkpoint in any professional damp investigation. A professional site practitioner would know this. It is old news to say that these instruments have their limitations and can’t be used in isolation to diagnose rising damp, every professional practitioner should also know this. Calcium carbide can not be used to measure total moisture content (TMC), rather it can only measure capillary moisture content (CMC), which is meaningless. Calcium carbide testing is not accurate enough or less accurate than gravimetric (Oven drying) testing. Calcium Carbide testing is too ‘invasive’ and not suitable under most survey circumstances. As with lots of industries we can often make the mistake of assuming that trade bodies are industry regulators when of course they are not. They are there to promote the interests of their members and in turn generate income for themselves. If a trade body were to promote the truth, which is that calcium carbide is a valuable tool in the diagnostic process, then the incredibly high incidence of incorrect diagnosis for rising damp would be quickly addressed. Of course, this would immediately mean that the damp industry would need to shrink to a fraction of its current size, because as I consistently say, rising damp is incredibly rare. The damp proofing Industry body generally promote the viewpoint that rising damp can be diagnosed with a visual inspection, a moisture meter and ‘common sense.’ Since common sense isn’t all that common we prefer to adopt the academically accepted view that in fact moisture meters can not be used in isolation to diagnose rising damp, no matter how much common sense the user has. Ironically, where I do find rising damp, it is generally ‘induced’ rising damp caused by inappropriate damp proofing works. Calcium carbide can in fact be used to measure total moisture content (TMC) but I quickly found out that the academic process used to determine TMC is long winded and diagnostically insignificant. The idea here is that TMC can only be arrived at after first understanding capillary and hygroscopic moisture content in the wall being tested. The simple formula is CMC-HMC = TMC Surprisingly, masonry walls have a low vapour resistance of around 7, to help contextualise this, loose fibre insulation has a VR of 1. What this means is that internal masonry walls will naturally absorb some moisture from the atmosphere and and reach a level of moisture equilibrium with the internal environment. This absorbed moisture is the natural hygroscopic moisture content (HMC) within that wall. The HMC is generally very low, in fact, usually so low as to give a zero reading when tested with calcium carbide. We have never yet, in hundreds of damp surveys found a HMC that was at significant levels that would affect the survey outcome or the final conclusions and recommendations for work. 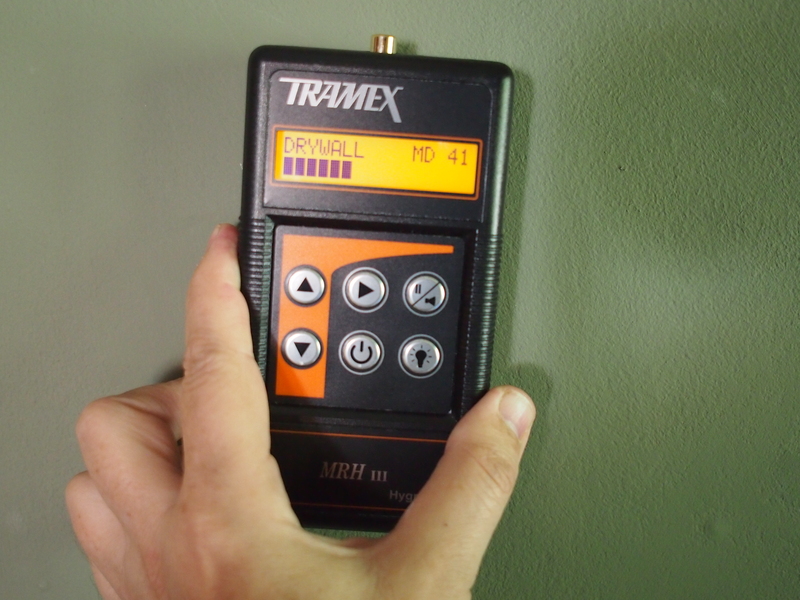 To establish HMC, you would simply find a dry area of wall using your electronic moisture meter in scan mode. Despite them being referred to as ‘salt’ meters, in fact they are excellent for determining where damp is absent rather when where it is present. Once you have scanned a dry area, test this area with calcium carbide and that gives you your HMC. If you don’t yet agree that HMC is an insignificant part of the process for determining total moisture content then try it for yourself over the course of a few surveys. That being said, if I am doing expert witness work, then I test for HMC because this is the academically accepted process. It is simply a pointless exercise for the vast majority of damp investigations. As with all damp investigations interpretation of your results is critical. If you get a high capillary moisture content of 3% at wall base and it has caused decorative spoiling then you need to take action. This is despite the fact that BRE 245 tells us that 5% is the accepted level at which remedial action may be required. Of course if I ran a laboratory that carried out gravimetric testing of masonry samples then I might also promote the idea that oven drying is the only acceptable method for testing total moisture content but it simply isn’t true. Even BS5250, which is the COP for the management of condensation in buildings promotes calcium carbide as being almost as accurate as oven drying. In my opinion, oven drying is unnecessarily time consuming, expensive, and will provide results that are diagnostically insignificant when compared to tests results obtained with calcium carbide. Ironically, oven drying isn’t a method we see used by the damp industry, they generally do no diagnostic work but cite the superiority of oven drying over calcium carbide as an excuse for not doing either test. However, to the damp industry, diagnostic results are irrelevant since they generally deal in management solutions and not cures. In other words, they want to sell you waterproof plastering systems and chemicals, so if your only interest is in selling products that hide rather than cure the damp then why bother doing diagnostic work? 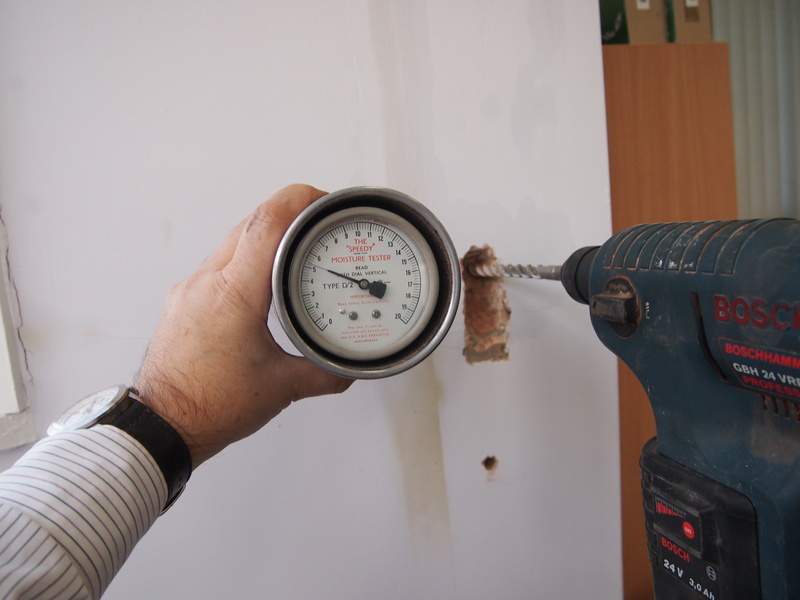 If we carry out calcium carbide testing then the it is usually because we have decorative spoiling and remedial works are already required to the wall being tested. There is therefore no significant issue with drilling a wall and we have only had one resident refuse or not want invasive testing over the last ten years. That was simply because they were ill and didn’t want the noise of the drill. The only other reason we would carry out CC testing is where the wall appears sound and unspoilt and despite recording low surface readings for damp, we obtain very high scan readings for moisture at depth. Other visual evidence might indicate that waterproof plasters have been applied by the damp industry and we suspect a damp underlying wall dammed in with renovation plasters. In these circumstances we have an obligation to inform homeowners that their damp has simply been temporarily hidden rather than cured. 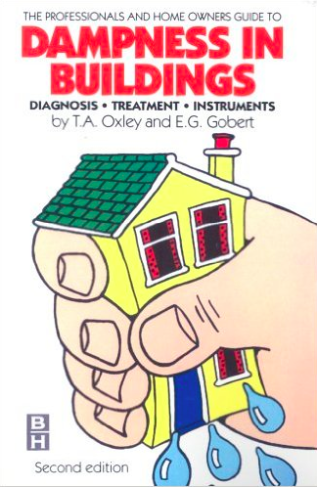 The idea that calcium carbide testing is too ‘invasive’ is an idea heavily supported by Oxley & Gobert in their book, Dampness in Buildings. This isn’t a book I’d recommend, it contains a great deal of inaccuracy and biased opinion and perhaps the fact that Gobert is Honarary Life President of Protimeter Plc has some impact on the only published dissenting view I have found with regards to the otherwise generalised opinion that calcium carbide testing is an excellent site diagnostic tool. Worryingly, this book is heavily marketed by most firms who sell surveying equipment but it is outdated and technically incorrect in a number of areas. Good damp investigation is about having good process, a good range of diagnostic tools a a strong knowledge of building technology and a thorough understanding of the principles of damp investigation. 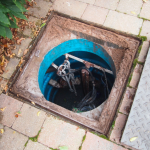 We recently completed a full building condition pre-purchase survey for a client and they were surprised to see in their report that a sewer pumping station was installed to the drive of the property under consideration. We think it important that potential house buyers fully understand why these systems are installed and what can go wrong. 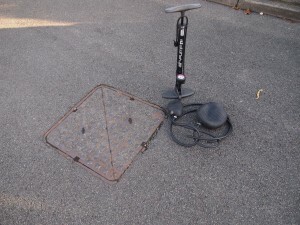 Wherever possible, we will always test for foul drain leaks using pneumatic drain bungs but in this particular case we quickly realised that this wouldn’t be possible because on lifting the inspection chamber cover we noted that an underground sewer pumping station (sometimes called a lift station) was installed. These stations are used to transport wastewater to higher ground where the waste can then be further transported by gravity flow. These lift stations are generally designed to handle raw sewage where the site topography is too low to allow the transfer of effluent to the main sewer under natural gravity flow. The basic design principle for these systems is that raw sewage is fed to an underground pit or ‘wet well’, where it is stored until the effluent reaches a predetermined level, at which point the effluent pump kicks in and pumps the effluent to the main sewer. The pump will run until the level in the wet well reaches its predetermined minimum level. These minimum and maximum levels are determined by float valves in the wet well that are linked to an alarm system in the electronic control panel. The sewage pumps are generally open end suction centrifugal pumps, often macerator pumps to break down solids into a more fluid sludge. The system is electronically monitored by a control panel linked to the centrifugal pump and float valves in the wet well. 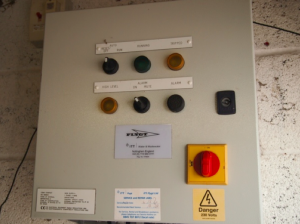 In this particular case the FLYGT control panel was located in the garage and we did wonder whether any high levels alarms or other anomalies would be picked up in time to take action before problems such as overflowing of the wet well were seen. 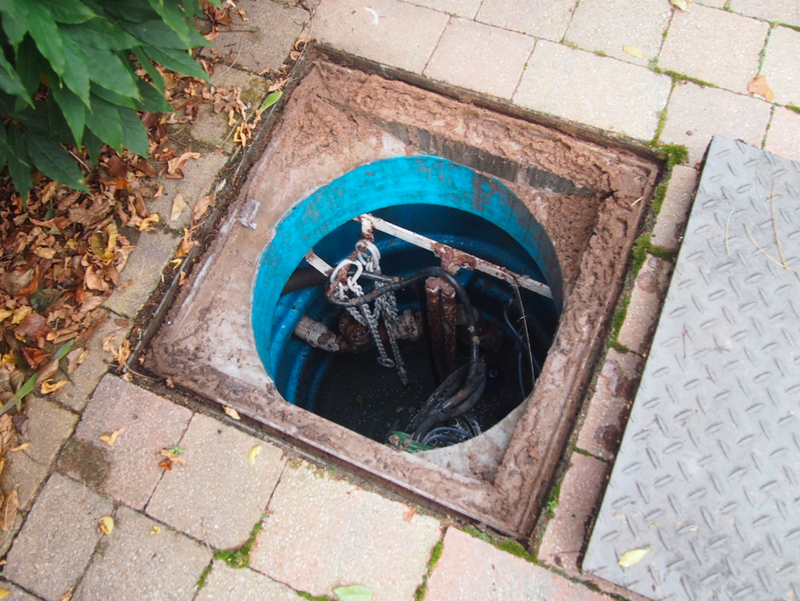 Our experience of these systems is that they are generally reliable so long as they are adequately maintained but common problems we have seen is fat deposition and build up within the well leading to clogging and blockages. This is raw sewage and you do not want to experience one of these sewage pits overflowing, which we have seen on another occasion due to failure of the float valve switch system. Beyond lifting the wet well cover for visual inspection and checking any maintenance log or records there is little else that can be done during a building survey but visual inspection of the wet well is essential to check that effluent levels sit between the the float valves and to further check for fat build up and deposition. On visual inspection everything appeared fine with this particular system but we did note that the system has over ran its last inspection date by around 3 years. The current owner clearly did not take out an annual maintenance contract on this system and perhaps did not fully understand the implications of not adequately maintaining the system. In fact we enquired of a specialist maintenance company in Derbyshire as to the cost of an annual maintenance contract and were quoted £186.00 plus VAT and parts. We actually think this is a reasonable price to pay for peace of mind and all being well, with regular maintenance, we see no reason why this system shouldn’t provide many years of trouble free service. 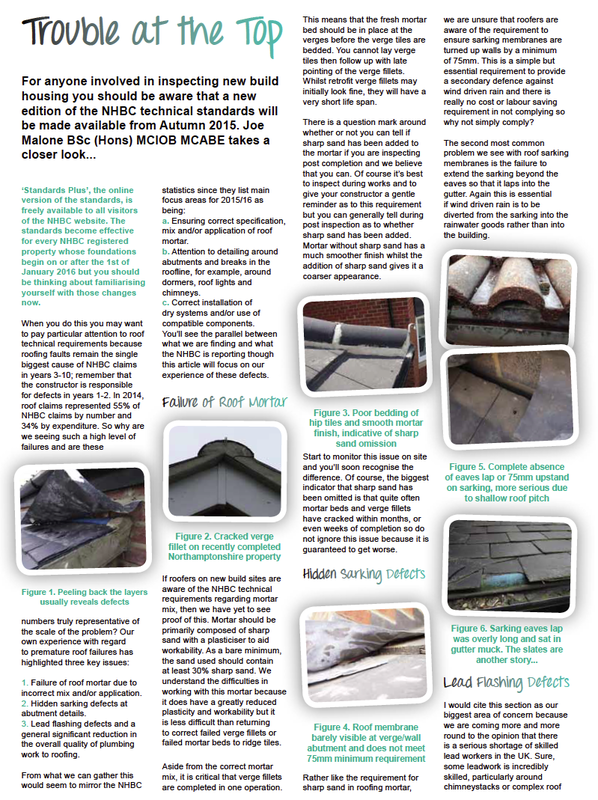 Trouble at the Top (Roofing Faults) – This article was recently published in the ICWCI’s ‘Site Recorder’ magazine and is being reprinted here for readers of this site. Thanks to Anne-Marie Elmer at the ICWCI for doing such a great job of formatting the article for print. Cavity Wall Insulation and Damp. 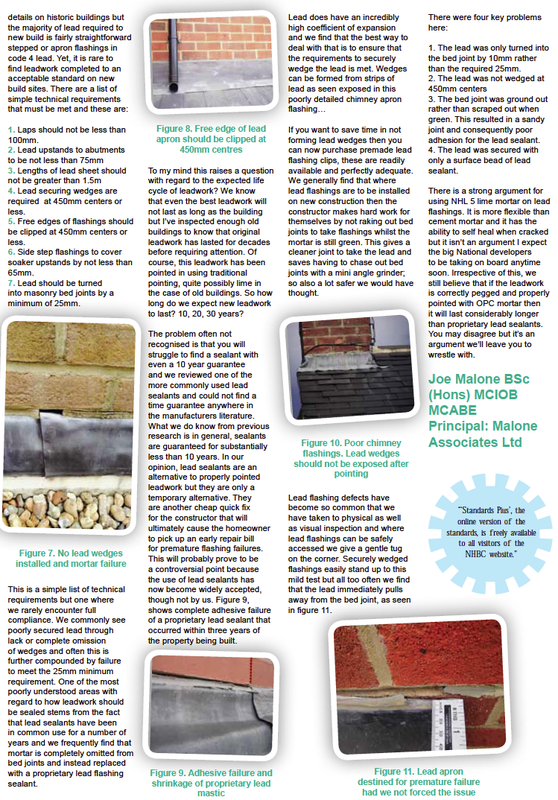 The potential damp problems allegedly caused by cavity wall insulation continues to be very topical at the moment. With this in mind it may be worth relaying details of another defect we were were asked to investigate this week. We were called to London to investigate an isolated patch of penetration damp to a ground floor bedroom. 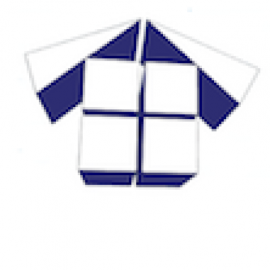 My client had been unable to resolve this problem and was somewhat mystified as to what was causing the problem. On the surface, it appeared to be a straightforward case of penetrating damp and an external check to the rear of the property immediately confirmed a longstanding problem with gutter leakage that had saturated the rear wall to such an extent that a dark patch of moss and lichen growth could be seen behind the gutter down pipe, extending from floor to roof level. 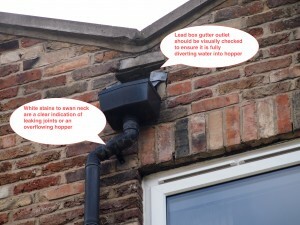 The roof was parapet walled with a lead box gutter outlet feeding into the RWDP hopper. A simple problem, easily diagnosed and fixed, with the internal penetrating damp easily explained if we were dealing with a solid wall. However, this was a mock Georgian townhouse, constructed of 320mm cavity walls with bricks laid in stretcher bond. Indeed, the brick bond was the first clue that the building was not as old as it initially appeared. Signs of leakage to hopper head. There were obvious signs of decorative spoiling and penetrating damp to the right hand side of the bedroom window and we immediately tested the area that gave highest electronic readings with calcium carbide, which returned a total moisture content of 2%. Technically, BRE 245 tells us that this would not require remedial action since it was below 5% threshold. In fact, we believe that 5% is too high and generally recommend remedial action at figures of 3% or more. Two per-cent is still significant and we were of the opinion that the masonry has dried out to some degree over the summer months and would likely revisit with increased severity as we move into the autumn and winter months. 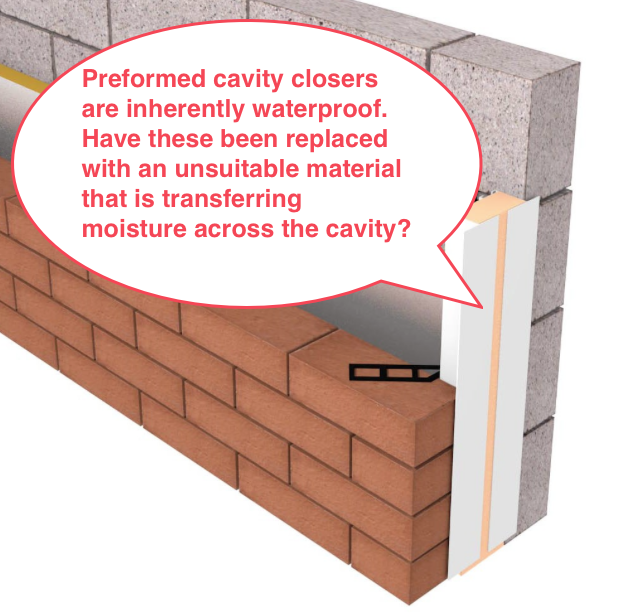 How does moisture cross the cavity? Thermal imaging confirmed that CWI fill appeared to be sporadic, which gave us our first clue that blown fibre was installed. We then drilled through the wall and inspected the internal CWI fill in two locations. Even insertion of the borescope confirmed a problem with voids in the fill material. Inserting through one hole hit soft material, whilst insertion through the second hole immediately hit the hard outer leaf of brick, which of course it would not have done had there been soft CWI material present to block its path. We inspected the cavity with a borescope, which confirmed that blown fibre was installed in extremely limited quantities and that, as usual, there were voids in the material. However, it was clearly not responsible for moisture transfer across the cavity since it was incredibly loosely packed and would have slumped away from the damp area had it got wet. This left only one potential cause, and an issue we have encountered many times in the past… a construction defect in the cavity closer. bespoke cavity closers are inherently waterproof and insulated but we have seen cavities closed off with a number of materials that are inappropriate for circumstance. Indeed, it may have simply been closed off with the inner leaf blockwork. Whatever material was used, we believe that this is transferring moisture across the cavity, which also explains the close proximity of damp staining to the window reveal. We have recommended repair of the external rainwater goods and further recommended that the UPVc window be temporarily removed to inspect and remedy this problem.